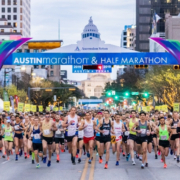 Make sure your running shoes are ready and cheer signs are hilarious because the Austin Marathon is on Sunday, Feb. 18th! 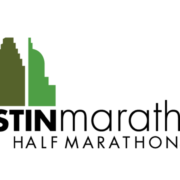 Thousands of people are looking forward to that unbeatable feeling of crossing the Austin Marathon or Half Marathon finish line. Tens of thousands more will cheer on their favorite runners. Whether you’re racing or watching, it’s safe to say that everyone will be hungry at some point. 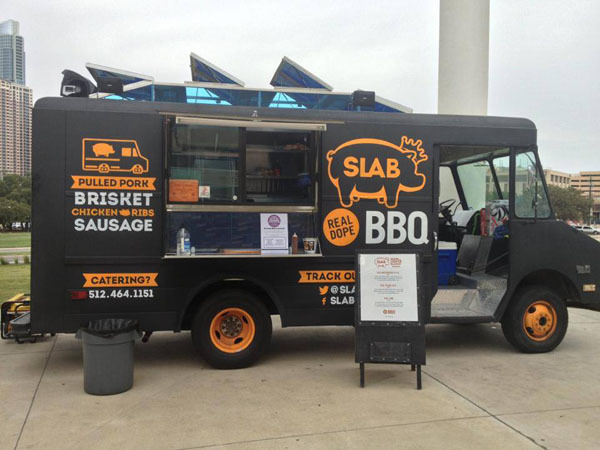 As if you needed more reasons to come to the Austin Marathon, here are some food trucks to visit! The food trucks will be on 5th St. in between Congress Ave. and Brazos St. Look for the WELCOME arch! 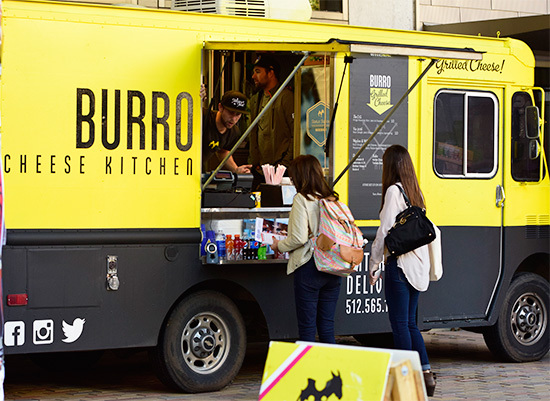 Take things that make Austin great, personify it in artisan grilled cheese form, and you get Burro Cheese Kitchen. If you’ve been there you know what we mean, and if you haven’t, you soon will. Look for it on February 18th. You can’t miss it; it’s big, it’s yellow, and it’s cheesy! 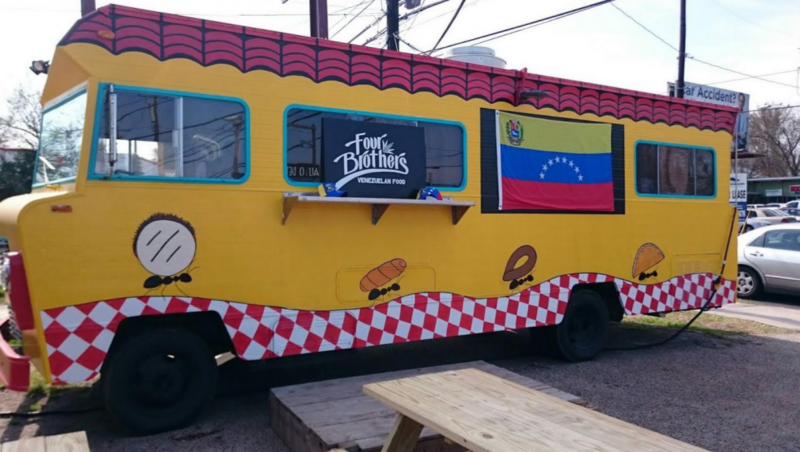 Mis hermanos y hermanas, no matter what you’re craving, the Austin Marathon will have your hunger fix! Oh, you want arepas? Four Brothers has it. You’re in the mood for an authentic cachupa? Go to the big yellow and red food truck. If you’ve never been to Four Brothers, make your Austin Marathon experience that much more unforgettable by eating there! We’re going to have something for everyone! If you just want to cool off and rehydrate with a tasty and refreshing drink, Juice Austin has you covered! So come down, have a good time, and get your juice on! You just ran a marathon, you deserve pizza. Bottom line. You just cheered at the Austin Marathon for a few hours, you deserve pizza. No questions asked. Scratch that, you never need to justify eating pizza. 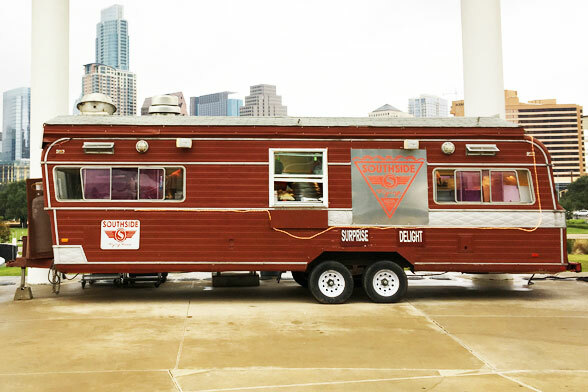 Swing by the Southside Flying Pizza Truck while you’re at the Austin Marathon! What type of coffee is best? Lucky Lab Coffee Co.! The Austin Marathon starts at 7:00 a.m. and you’re up to cheer on your friends. Of course, you’re going to need some coffee. Fortunately, Lucky Lab Coffee Co. will be there to supply you with some freshly-brewed liquid energy! You really didn’t think we were going to leave out BBQ did you? If there is anything Austin knows how to do right (other than marathons) it’s BBQ. After the race, let your nose control where your legs take you next. We promise you will not be disappointed. 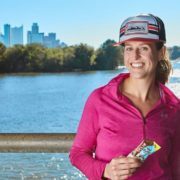 Ladies and gentleman, runners and spectators, we just gave you six more reasons to get pumped about the Austin Marathon. 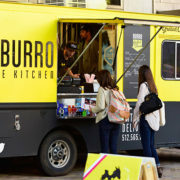 Look for (or smell for) the food trucks that will be located on 5th St. in between Congress Ave. and Brazos St.!